The Autoimmune Protocol Diet (AIP diet) has proven to be healing for those dealing with serious inflammation and gut irritation. The hardest part: finding delicious, AIP friendly snacks that can keep you on the right track towards relief. Here is our curated list of AIP snack ideas we tested and loved. Having autoimmune disease can really shift your perspective on snacking. It was easy for me to feel negatively towards all snacking food because of the way that conventional snacks used to make me feel, which was terrible. However, you can enjoy homemade treats on AIP while still promoting gut healing. Plus, snacks are good for the soul. It wouldn’t be right to give you snack ideas and not include something wrapped in bacon. These Bacon Wrapped Peaches are perfectly sweet and savory, and only last about five minutes in my house. If it is warm enough outside, I like to throw these on the grill for a little extra smokiness. They make the best brunch appetizer for everyone; even kids love them! This Sweet Potato Chip Recipe recipe is incredibly simple and delicious. There are only three ingredients! Just make sure that you use extra-virgin olive oil (preferably organic) to make a more savory chip or use coconut butter to give them a little extra sweetness. If you have made sweet potato chips a million times (me) and are looking to be a little bit more adventurous, find out if your grocery store has plantains. Once you make these addicting Baked Plantain Chips, you will be hooked. I like to toss them with diced garlic or turmeric before I bake them to add slightly more spice and nutritional value. Where there’s chips, there should be dip! Louise at Healing Autoimmune created this Cauliflower Dip that I made for our most recent office party and it was a huge crowd pleaser. Cauliflower is such a versatile ingredient that can be blended into a wonderful, creamy consistency that seems too good to be AIP. Anytime you are following a restrictive diet, you run the risk of feeling deprived. Ultimately, this can lead to a late-night binge. The best thing you can do to combat that: be prepared. That "I'm superwoman and I am stronger than any craving" mentality will not exist in every moment. You're human. These are sweet snack ideas that mimic that creamy, deeply satisfying dessert taste while being dairy free and compliant. This Blackberry Collagen Popsicles Recipe was created by the trustworthy AIP experts at Autoimmune Wellness. If you are seeking an amazing AIP podcast to follow, theirs is THE best. Ok, so I know what you’re going to say: these are supposed to be easy recipes and now I have to go buy popsicle molds? Of course not. Unless you are trying to create pinterest worthy pictures, just throw the mixture into a normal ice cube tray, cover it with plastic wrap, and poke some toothpicks through to act as your popsicle stick. They are tart and sweet without any of the added sugar. You guys! I’ve been looking for a good AIP pie crust recipe for so long. It seemed like my days of enjoying a good flaky crust were over, until now! 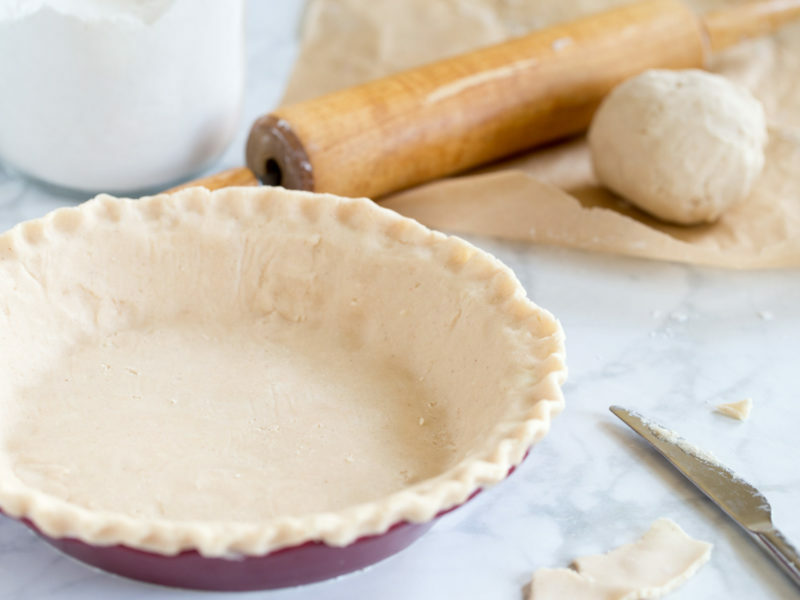 The Perfect AIP Pie Crust Recipe was developed by Dr. Sarah Ballantyne, Ph.D. at The Paleo Mom. She uses Otto’s Cassava Flour, which is my AIP gluten-free, grain-free go-to product for baking. I wouldn’t blame you for eating this pie crust on its own, but if you are looking for a tart, low sugar filling, this strawberry rhubarb filling is just right. The coconut oil really adds a depth of flavor that keeps you going back for more (and more). In the elimination phase of AIP, it can feel like all you’re doing is cooking. While it is important to be able to cook yourself healthy AIP recipes, it is equally important that the diet doesn’t take over your life and make you miserable. Therefore, I’ve added some AIP snacks that you can buy and LIVE YOUR LIFE! Wild Zora has created a whole line of interesting and compliant snacks and meals for the AIP community. Their Apple Pork and Mediterranean Lamb meat and veggie bars are both AIP and they are really good to take on the go. These bars are sort of like jerky, but they have a full serving of fruits and veggies in them, so they are more tender and complex in flavor. Rhythm Superfoods makes a bunch of vegetable-based snacks that are simple and so tasty. Their Organic Carrot Sticks are crunchy, salty and aren’t oily like many of the other dried veggie snack companies. While they are my favorite, I have to give an honorable mention to their pickled beet chips, which are unlike any other AIP chip I have tried. 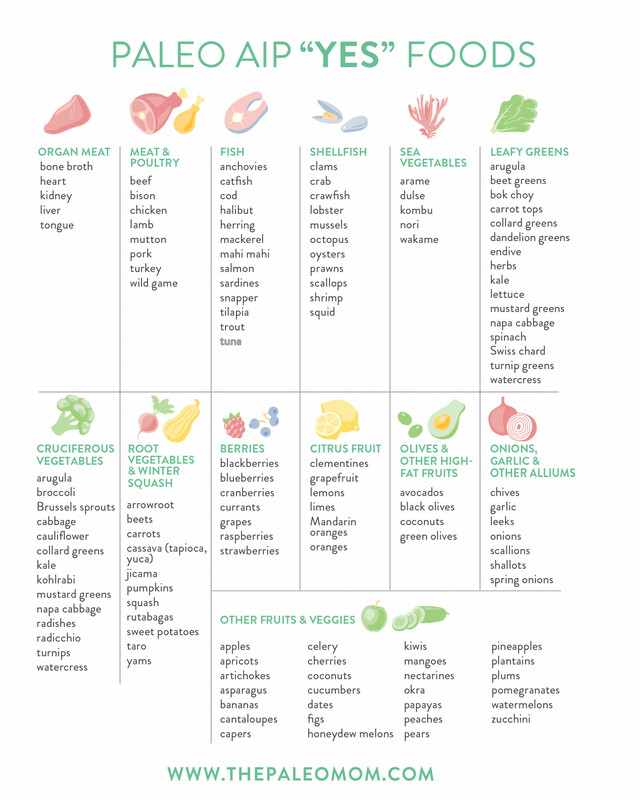 We double check all of our ingredients with Autoimmune Wellness' pantry stocking tool. They make it simple to assure you are prioritizing the ingredients that will make you as successful as possible. AIP Sampler Pack Is Here! Have you always wanted to try the Wild Zora AIP compliant bars but you weren't ready to commit to 10 bars of single flavor? We hear you. You can now get 5 of each delicious AIP compliant bars at a great price. The new sampler pack is perfect for your summer adventures. The bars are small enough to fit in your pocket or backpack, so you can take them biking or hiking. The Wild Zora bars have no added sugar and they will provide the long-lasting energy you need. Make sure you get your AIP Wild Zora bars before your next flight - you won't be at mercy of airlines and their "understanding" of your dietary needs any more! All ten bars will easily fit in your carry on. Because the Wild Zora bars are not sticky or crumbly, they are a great travel snack that's not messy. Free of nightshades, but full of flavor, these bars are our bestseller. Delicate local lamb, rosemary, and turmeric make them feel like a treat. Ingredients: Natural Lamb, Organic Vegetables & Fruit (Spinach, Apricots, Dates, Garlic, Onion, Celery), Sea Salt, Oregano, Rosemary, Turmeric. We went little further with this new recipe - not only is it nightshade-free but we also didn't add any onions or garlic to it. Instead, we chose a familiar herb combination of parsley, sage, rosemary, and thyme. The result is an irresistibly tasty snack bar. Ingredients: 100% Natural Pork, Organic Vegetables & Fruit (Kale, Apple, Apricots, Dates, Kale, Celery, Parsley, Sage, Rosemary & Thyme), Sea Salt, Cinnamon. The new AIP sampler pack is already highly popular. Order yours today! Why Parsley, Sage, Rosemary & Thyme? Admit it. You can't just say "parsley, sage, rosemary, and thyme", you have to sing it! But have you actually used this famous herb combo in your cooking? We have. It's one of the things that makes our new Apple Pork bar so tasty. When we set out to create the new flavor, we faced several challenges. We knew we wanted to create a snack that's AIP compliant and allium-free, meaning it had no onions or garlic. It's important to us to accommodate our friends with food sensitivities. But if you ever tried to cook without onions and garlic, you know that the resulting dish isn't often bursting with flavor. Even more challenging: the new flavor was going to be made with pork. Onions and garlic are natural companions of pork meat and without them, it tastes bland. We are Wild Zora, not Bland Zora! We experimented with a variety of seasonings, but in the end decided to go with the herb combo immortalized in Scarborough Fair: parsley, sage, rosemary, and thyme. Parsley, sage, rosemary, and thyme have been used for centuries both as remedies and as seasoning. Although we associate the four herbs with the "Scarborough Fair", the herby refrain is a relatively new addition to the old song; it's believed to originate in the 19th century. It's entirely possible that the names of herbs simply made it into the song because they sound nice. But the herbs also carry symbolic meaning. The language of flowers was highly popular in the 19th century; it was a way to send cryptic messages through flower arrangement. Could parsley, sage, rosemary, and thyme serve as a way to send a secret message to the "true love of mine"? That's all very interesting, but what does it have to with you? You can try to send a bouquet to your ex and hope she is well versed in Victorian ways. Maybe she will let go of her bitter feelings, find strength and wisdom to remember the love you shared, and have the courage to be happy with you again. Or not. In that case, you can use the herbs for cooking. We found that parsley, sage, rosemary, and thyme taste wonderful with pork. Next time you are making pork roast or pork chops, try this flavorful foursome. Or, order some Apple Pork Wild Zora bars today! Like many culinary herbs, parsley, sage, rosemary, and thyme have strong medicinal properties. This humble herb often used only as garnish and discarded is a nutritional powerhouse. Parsley is rich in vitamins A, K, B, and C; in fact, it contains more vitamin C than oranges. It's also a great source of calcium and iron. 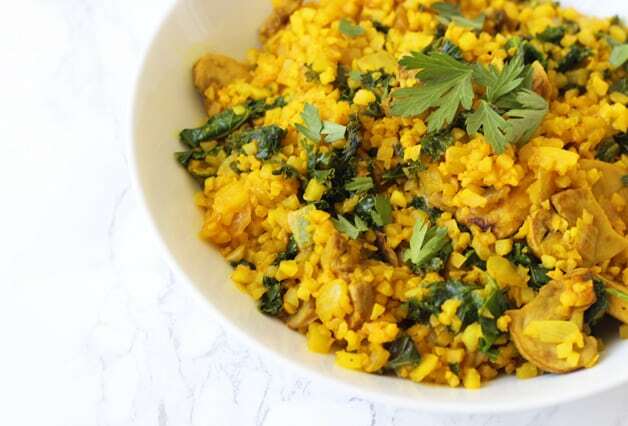 To boost your immune system, add fresh chopped parsley on top of your favorite savory dishes. It's a mild diuretic, so it supports kidney health. Like many green plants, it's rich in chlorophyl which helps fight off bad breath. If you enjoy foods heavily seasoned with garlic, try chewing a few sprigs of fresh parsley after the meal to combat garlic breath. It's a mild diuretic, so it supports kidney health. Like many green plants, it's rich in chlorophyll which helps fight off bad breath. If you enjoy foods heavily seasoned with garlic, try chewing a few sprigs of fresh parsley after the meal to combat garlic breath. Parsley is readily available in most grocery stores, but it's very easy to grow. It's best to start it from seed since the plant has deep roots that might make transplanting difficult. It grows well in containers and requires well-drained soil. The Latin name for sage, Salvia (Salvia Officinalis), is related to the word salvus, which means "healthy", or salvare, "to save". It has been used for centuries to ease indigestion from heavy meals. Sage has many benefits and deserves to be a regular part of your diet. Because of its antibacterial properties, sage infusion makes a wonderful mouthwash or face wash, if you struggle with acne. It's also a great gargle for a sore throat. Many people are hesitant to use sage as a culinary herb because of its strong, somewhat medicinal taste. It works well paired with other herbs - in our Scarborough Fair combo, the bitterness of sage is balanced out by the mild sweetness of parsley. It works really well in our Apple Pork bar - it tames the sweet apple and complements the succulent pork. When grown outdoors, sage forms an attractive low shrub with silvery leaves and purple blossoms. It does well in dry, sunny spots. If you grow it indoors it stays fairly small and likely won't bloom. Because rosemary is the main flavor in our bestselling Mediterranean Lamb bar, we wrote another blog post about its many health benefits. Rosemary brings bright, slightly woodsy flavor to our combination. You will barely taste it in the Apple Pork bar, but it helps bring out the mild flavor of the all-natural pork and balances out the sweet notes of apples and cinnamon. Thyme has been highly regarded by herbalists for centuries. It has been used as an antiseptic and room deodorizer. To this day, thyme is used to help ease symptoms of respiratory illnesses; it eases coughing and fever and also alleviates headaches. It was used to relieve asthma symptoms in medieval times. As a culinary herb, thyme is indispensable. It's used in many herb mixes, including bouquet garni, and it is a staple in Italian cuisine. Its bright, comforting flavor goes really well with fish and seafood. If you would like to eat more fish for its health benefits but find the fishy taste off-putting, try seasoning it with thyme and lemon. If you want to enjoy fresh thyme, you can grow it both outdoors and indoors. As an outdoors plant, thyme is a beautiful addition to a rock garden. It is an easy plant to grow; it doesn't need really rich soil and prefers dry, sunny spots. When you grow thyme in a container, make sure you don't overwater it. Make parsley, sage, rosemary, and thyme your kitchen staple. Not only do they bring a comforting herby flavor to many dishes, they also have many health benefits. That's why we added them to our new AIP compliant Apple Pork bar. Have you tried it yet?